I love feeling like I'm domestic and there's nothing more fun than being domestic with a friend. 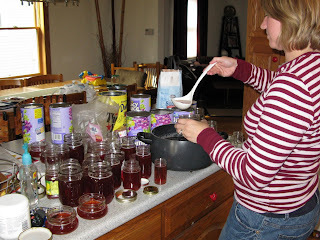 Today, I went to my friend, Anca's house, and we made grape freezer jam. It 's so easy. A single batch can be made in ten minutes. Just follow the recipe that comes in a box of this and you've got it!